Cosmetic Dentist Caroline Berman uses the latest in advanced dental technology help you transform your smile: beautifully, comfortably and rapidly. Beautiful smiles with all porcelain restorations such as veneers and crowns. Cosmetic Dentistry also incorporates Invisalign, teeth whitening, laser dentistry, dental implants and more. 40 times faster, make things easier, and to provide better dentistry to our patients. On behalf of our staff, we welcome you to our office. We are pleased that you have selected us to care for your dental needs and we look forward to your initial visit. We want you to know that we are committed to provide you with the highest quality of oral health care in the most gentle, efficient, and enthusiastic manner possible. We pride ourselves on making dentistry a pleasant experience for you with the best technology and training, while providing you with the best dental treatment. Our emphasis is on early preventive care, but we also provide restorative care, including full mouth rehabilitation and emergency services. Our primary goal, whenever possible, is the retention of your healthy, natural teeth. 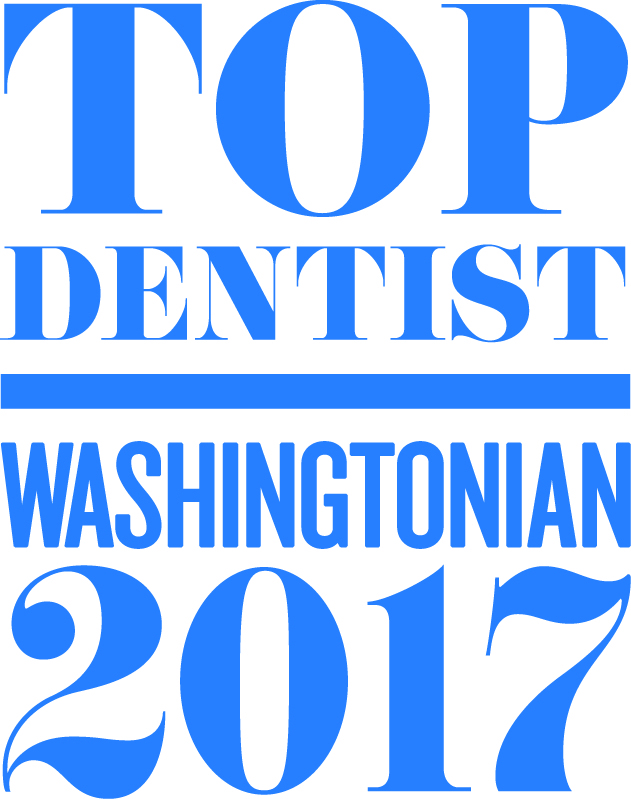 We look forward to providing you the best care in the Washington, DC as we were voted TOP DENTIST by Washingtonian and consumers research council of America. Provide the best quality product and service at the faster time with the minimum discomfort and excellent customer service. 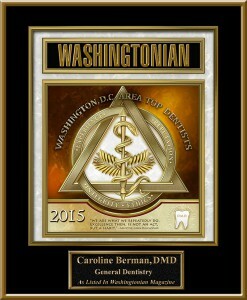 Under Dr. Berman’s leadership, Washington Elite Dentistry is proudly providing their patients the finest quality care in general, cosmetic and implant dentistry. Their passion is creating the smile you were meant to have, one that is attractive, confident, and beautiful. The practice also caters to those in need of emergency dental care. If you are in pain, don’t hesitate to call the office. Dr Berman and her staff will do everything possible to get you an appointment the same day so that you can focus on the things most important to you. 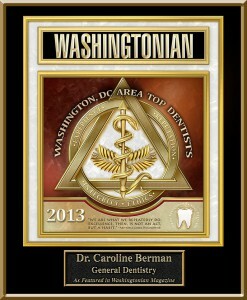 After nearly 40.000 patient appointments within a career spanning two decades, Dr. Caroline Berman demonstrates daily a ceaseless attention to detail and a dedication to achieving exquisite results through the provision of excellent, state of the art personalized care. Watch our videos and learn more about how we can help!